We’ve looked at a lot of information over the last few posts to this blog, so we’re going to take a short pause today and catch our collective breath a little bit before proceeding. Admittedly I did cover things a little backward in those past posts, as I’d first received numerous requests for information on the analysis features of the Fritz “family” of chess playing programs (Fritz, Rybka, Junior, Hiarcs, and Shredder). Partway through that short series of blog posts, I began to receive requests on game input (how to add your personal games to a database). So that’s why we discussed analysis first and game input second. What are the best settings for game analysis? What do you do with the analysis after it’s been generated? We’re going to hit both of these two topics as this blog moves forward, but today we’ll take a quick little (useful) detour and see some interesting things which can occur when Fritz, and other engines analyze your games. That’s a 13 piece endgame (remember that Kings count as pieces when we’re talking about endgame tablebases), the largest existing tablebases are for 6 piece endgames, and the largest tablebases I have on my computer are for 5 piece endings. So it’s safe to say (and I double-checked this manually using the “infinite analysis” feature) that if you allocate a generous hash table allotment to Fritz12, the engine by itself can find certain forced mates (even long sequences) really quickly even without the help of tablebases. What we learn from this game’s analysis, by the way, was that Black was sunk fairly early in the game. Despite being behind in development, Black started swapping off material and by the time the smoke cleared when both players were finished Hoovering the board, it was too late for Black. 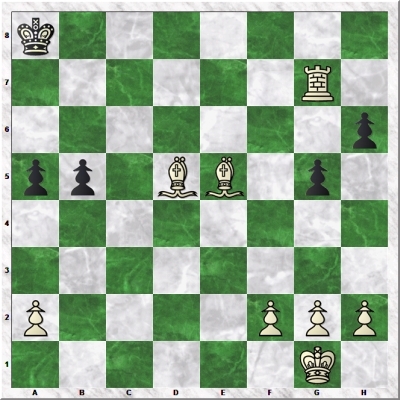 Even the “better” 30th move wouldn’t have helped Black much; sure, it wasn’t a forced mate but having a lone King against a Rook, two Bishops, and four pawns ain’t much of an improvement. Normally the move marked “Last book move” (highlighted in the illustration) would be the last move analyzed; the preceding moves would be skipped by the analysis engine since they’re in the opening book (that is, they’re part of known recognized opening theory). 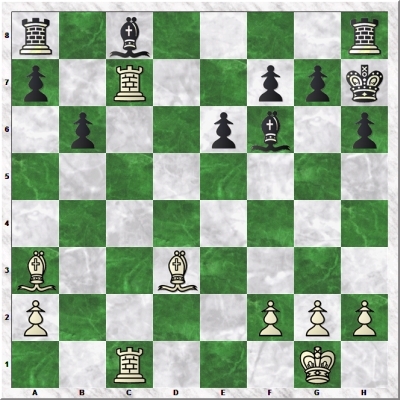 But notice that the 8th move for both players has been analyzed by Fritz12. What gives? So it’s important to note here that Fritz and other chess engines do identify transpositions into and out of the opening book, which is another reason why a large encyclopedic opening book such as Powerbook is a valuable tool in chess analysis.